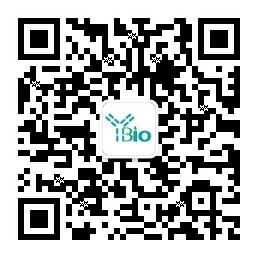 别 名 MAJN; TGFB1 induced anti apoptotic factor 1 (12 kDa TGF beta1 induced antiapoptotic factor); 12 kDa TGF-beta-1-induced antiapoptotic factor; TGFB1 induced anti apoptotic factor 1; TGFB1-induced anti-apoptotic factor 1; TIAF1_HUMAN; MAJN; SPR210; MYO18A; MYSPDZ; TGFB1 induced anti apoptotic factor 1. TIAF-1 (TGF Beta 1-induced antiapoptotic factor 1), also known as MYO18A, MAJN or MYSPDZ, is a TGF Beta 1-induced anti-apoptotic factor that localizes to the nucleus and functions to inhibit the cytotoxic effects of TNF? TRADD and FADD. Two isoforms of mouse TIAF-1 exist and are designated MysPDZ-Alpha and MysPDZ-Beta. MysPDZ-Alpha consists of a KE-rich region, an N-terminal PDZ domain and a prevalent myosin homologous head region, while the MysPDZ-Beta isoform lacks the KE-rich region and PDZ domain. MysPDZ-Alpha is present in most tissues and is known to co-localize with the ER-Golgi complex and with membrane ruffles and filopodia. MysPDZ-Beta is expressed specifically in hematopoietic tissues and cell lines and shows dispersed localization in the cytoplasm. This protein inhibits the cytotoxic effects of TNF-alpha and overexpressed TNF receptor adapters TRADD, FADD, and RIP. It is involved in TGF-beta1 inhibition of IkappaB-alpha expression and suppression of TNF-mediated IkappaB-alpha degradation. Not detectable in normal kidney and liver. Up-regulated in chronic and acute allograft rejection: expressed in the inflammatory infiltrate and in tubular epithelial cells.